Those worried about the Fed’s so-called “independence” from politics are a little late. The US presidents, who nominate its board members, long ago put political loyalty high on the qualification list. Now President Trump is unhappy the Fed keeps raising interest rates. Past presidents avoided such comments so they wouldn’t appear to be interfering. But Trump doesn’t care about appearance. He says whatever he thinks—that’s one reason millions voted for him. The Fed is somewhat insulated from electoral politics, since the chair and board members have staggered terms. Its composition changes slowly... but it doesn’t have to. Tucked away deep inside the Fed’s founding law is a provision Trump could use to not just interfere but completely rebuild the Federal Reserve Board of Governors. No one knows if he would do this, probably not even Trump himself. But the power is there if he wants to use it. Markets should pay attention. I don’t think they are. 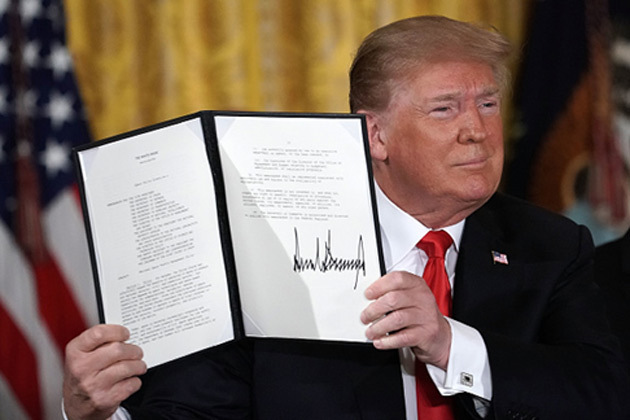 In recent weeks, the president criticized Federal Reserve Chairman Jerome Powell several times. 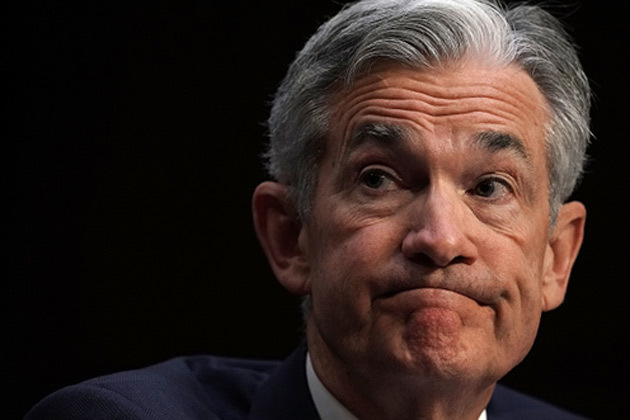 He doesn’t like that Powell is leading the Fed to raise interest rates. This shouldn’t come as a surprise, though. Powell’s hawkish bent was well known when Trump nominated him to take Janet Yellen’s chair. He fully supported Yellen’s tightening strategy. We should also note that Powell’s rate hikes have not perceptibly slowed the economic recovery Trump so frequently touts. So, it’s not clear why Trump is unhappy. If he wanted low interest rates, he could easily have appointed a dovish Fed chair. St. Louis Fed President James Bullard was well qualified and available, as were several others. For whatever reason, that didn’t happen. But what if Trump could have a do-over? A common perception, even among Fed experts, is that presidents can’t fire the chair and board of governors once they take office. They’re thought to be like the Supreme Court in that regard, although they don’t serve for life. But that’s not quite correct. The Federal Reserve Act doesn’t explicitly give the US president power to fire the Fed board members, but section 10 has a mysterious little phrase indicating it’s at least possible. That’s all it says on the subject, as far as I can tell. The Act doesn’t define what the word “cause” would entail. But Congress clearly thought the US president should be able to remove board members before their terms expire, under certain conditions. This legislative time bomb has been lurking in there for decades. Now we have a president who loves exercising unilateral power in ways his predecessors did not. He’s used the pardon power several times without the normal review process. He fired the FBI director to try and stop a criminal investigation. He imposed import tariffs on imaginary “national security” grounds. Trump doesn’t mind breaking precedent to achieve his goals. So if he wants to remove Jerome Powell, I think he will do it. No one can stop him. Would Congress object? Probably, but its members have yet to impose any meaningful constraints on Trump. All he has to do is dream up some “cause” and most will fall in line. As of right now, the seven-member board of governors has four vacancies, so firing Powell would leave two others in place: Randal Quarles and Lael Brainard. Neither is as dovish as Trump seems to want, but seeing their chairman get the axe might change their attitude. Or he could fire them too. Quarles and Brainard are only two votes on the rate-setting Federal Open Market Committee (FOMC). The other members are all regional Fed bank presidents. But in this scenario, Trump would control the board of governors—and the board, in turn, can control the Fed banks. Furthermore, the Senate may soon confirm Richard Clarida as vice chair. He seems more dovish than the others, so Trump might gladly let Clarida take over. This scenario, while unlikely, is far from impossible. It may be why Powell’s rhetoric turned more dovish at Jackson Hole last weekend. You might think financial markets would freak out. I’m not so sure. Lower short-term rates combined with higher inflation expectations would steepen the yield curve, enhancing bank profit margins. Debt-driven industries from housing to autos might also benefit. The long-term damage would be enormous. The US dominates the global economy in part because we have stable, rule-driven institutions like the Fed. 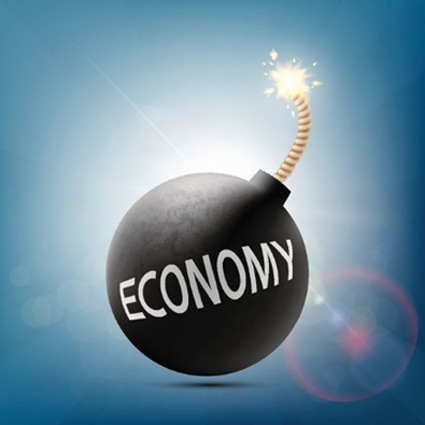 Letting politics openly drive monetary policy would remove the aura. Another central bank might rise to fill the Fed’s former role. Again, I am not predicting any of this will happen. I’m saying it is possible. Traders talk about “tail risks, ” those remote possibilities that would have huge consequences. The odds Trump will fire Powell or other Fed officials are low, but well above zero. It’s more than a tail risk. So while the economic data might say the Fed should keep tightening, Donald Trump might have other plans. And if he does, he will probably get his way. Combined with the looming trade war, this could easily negate the economic benefits of lower taxes and deregulation. It’s a real risk, and I think few are prepared for it. Sep. 3, 2018, 6:19 a.m.